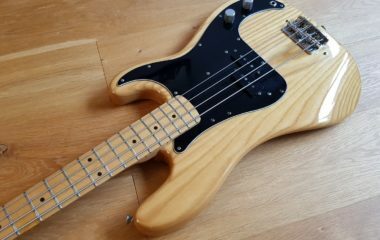 This is a Bacchus Woodline Classic Precision bass, about 13 years old. The build quality is extremely high, top end Japanese craftsmanship. It’s how Fender were building them in the 1960’s. 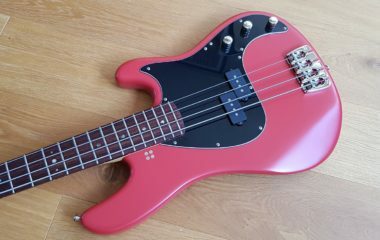 The body is slightly down sized, so it’s light in weight and very responsive and comfortable to play. 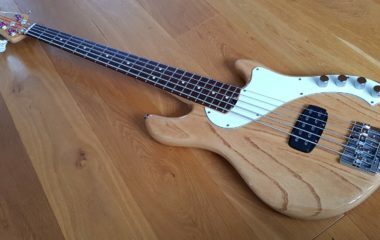 It’s finished in nitro-cellulose and the neck is made from one piece of maple. Very stable and resonant. Made with an Alder body, one-piece maple neck, rosewood fretboard, finished in nitro. 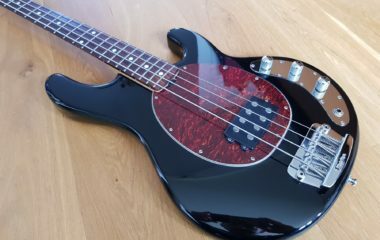 Factory fitted with HMC PB Alnico 5 pickups, and a standard passive circuit, with the usual simple Volume and Tone controls. Gotoh hardware. and come with a Bacchus gig bag.